Situated in heart of Corona del Mar lies this stunning, new 2 bedroom, plus a den, home that is designed to perfection. 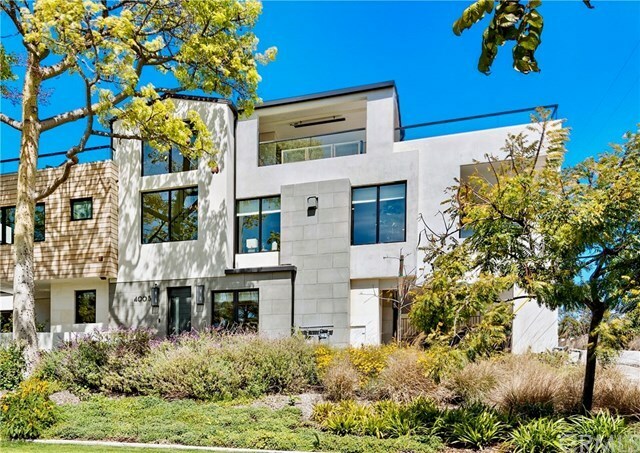 Created by the local and highly respected Brandon Architects, the residence seamlessly blends modern indoor and outdoor living from a unique, oversized corner location that overlooks a park with beautiful lush landscaping. Enjoy an open main level floor plan with an entertainerâs kitchen complete with a 9â center island with Quartzite counters and custom built-in banquet seating in the dining area. The glass stairwell is a statement piece that is surrounded by an abundance of natural lighting that leads to a 3rd floor master suite. The California room and sun deck is a great extension off the master retreat to relax and take in the ocean breeze. Other upgrades include a Control4 home automation system, custom lighting fixtures, Spartaflex garage floor coating, 50 AMP electric car charging outlet in the garage, elaborate security system and control heat and air conditioning, just to name a few. This location is a "walkers paradise" with a Walk Score of 90. Convenient shopping, amazing restaurants, breathtaking ocean vistas and pristine beaches are just outside your door. Welcome home to 400.5 Jasmine. Directions: Coast Highway to Jasmine Avenue or Bayside Drive to Jasmine Avenue.